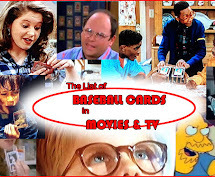 Baseball Card Breakdown: Custom Simpsons TTM success: "Fat Tony" Joe Mantegna! 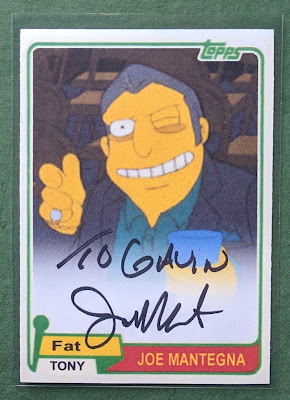 Custom Simpsons TTM success: "Fat Tony" Joe Mantegna! Added a new addition to my little group of Simpsons custom autos. I heard Joe Mantegna was a reliable signer, so I whipped up a Fat Tony card to ask him to sign. Looks great! Came back in about 3 weeks. Joe took an extra moment to personalize it, which I appreciate. I decided to "get cute" with my choice of 1981 Topps Football for the design. It's the set that contains the rookie card for the similarly named Joe Montana (a card which I do not own, but maybe someday). I'm a dork and thought it'd be kinda funny to give a sly nod to Montana on the custom. Thank you very much, Mr. Mantegna! 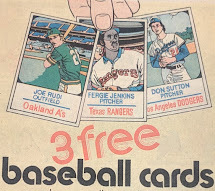 I was wondering why you chose '81 Topps Football...now it makes sense. Great card! I love the photo choice for Fat Tony! Awesome custom! Congratulations on the successful TTM. Nice custom! I hope Joe got a smile out of it!